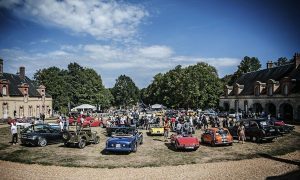 Virage8 presents Motors and Soul 6th edition on 7th and 8th September 2019 in the premises of Château de Neuville in Gambais (78) – France. A festival placed under the signs of style and nice attitude, a festival to live and share your passion intensively with many enthusiasts. ‘Motos and Autos de caractère‘, Rides and Ballads, Arts and Style, are the ingredients put together for everyone to enjoy this unique summer-end event.